ZVL SLOVAKIA took part at ITF Fair in Plovdiv in Bulgaria | ZVL SLOVAKIA, Sp. z o.o. ZVL SLOVAKIA took part at ITF Fair in Plovdiv in Bulgaria on 27.09. – 02.10.2009. This event is the biggest Mechanical and Building Engineering fair in Bulgaria. Company presented own products at the official stand of the Ministry of Economy of the Slovak Republic together with other Slovak exhibitors. 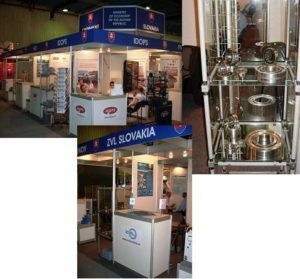 Visitors of the ZVL SLOVAKIA stand have been important bearing distributors as well as producers of equipments from Bulgaria. Several important meetings took place with domestic companies during the fair. These partners presented a strong interest for original ZVL bearings which are known in Bulgaria from the eighties of the twentieth century.